Known as KT to friends and family, Kevin Townsend is a seasoned Fly-Fisherman and Upland Bird Hunter. Watch KT as he hosts his latest adventures on his show, The KT Diaries. KT travels the world, with help from his assistant "Friday". KT is also a fishing guide out of Port O Connor Texas. Head to Book an Adventure to book a guided fishing trip with KT. 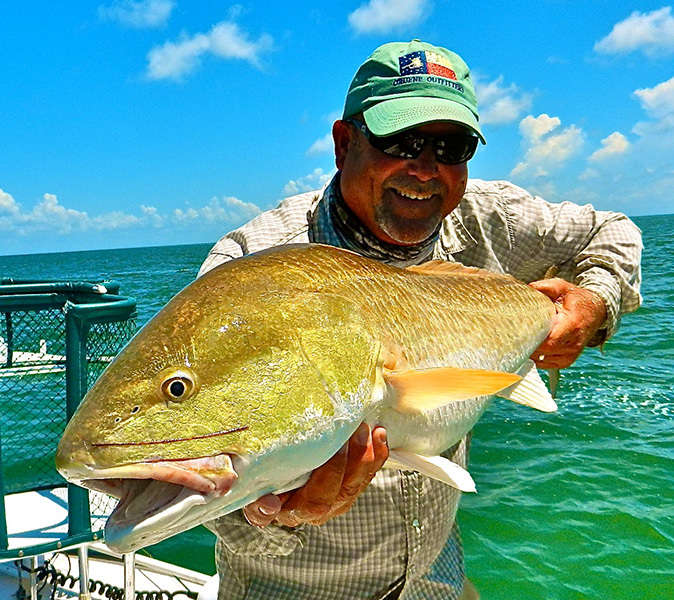 Watch KT on epic adventures around the Gulf Coast and World, fishing some of the most amazing species on Earth. KT has landed some amazing fish with his fly rod. 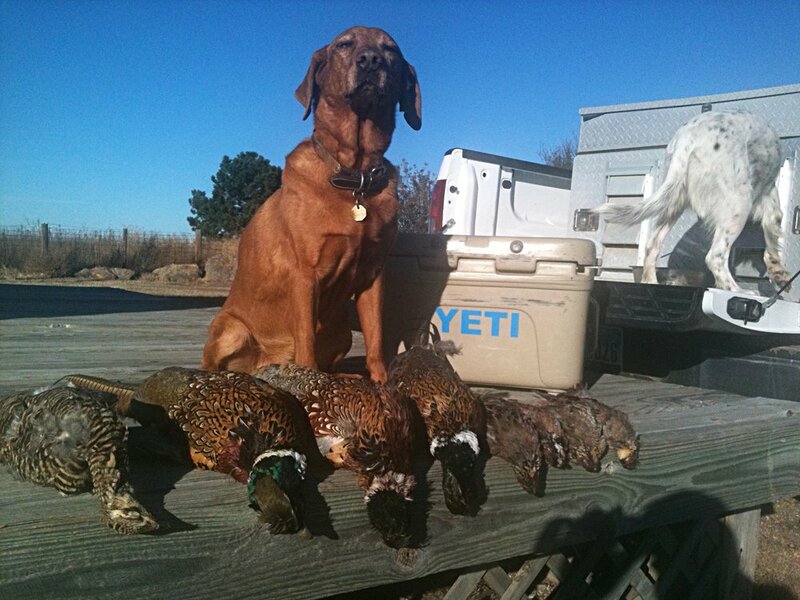 Whether KT is in Southwest or Midwest, KT is seeking out Upland Birds for his trusted dogs to point. Watch heart stopping action and beautiful birds flushing in front of dog and hunter. If you seek the thrill of Adventure then this section is for you. KT travels the globe, with world renowned guides and outdoor enthusiasts to bring you exciting series of Fishing and Hunting. Click below to follow KT's latest Fishing and Hunting Adventures on Facebook and Instagram. A fox red Labrador with a heart of gold from JimSaNik Kennels in Ord, Nebraska. Groussie is a strong flusher and retriever, occasionally pointing Quail and Pheasant. She loves going in for the flush when released in front of a staunch pointing dog. She is also my boat dog and enjoys floating down a western river chasing Trout almost as much as hunting Grouse in the surrounding mountains. She has a gentle sweetheart personality and never met a man or dog she didn't love. A tri-color English Setter with a beautiful coat. Poco was the greatest Christmas gift I have ever received. After a successful breeding of Rosie by Rio she was born on Christmas Eve. She is the only dog I have owned that I actually delivered from the womb. I am sure that is why I feel such a strong bond with her. She is gifted with a great nose and unlike a lot of setters she is a great retriever. Poco is a smart dog whose only training came from spending time in the field with Rosie, Rio, and Hank. You can bet when that beautiful thick and feathered tail goes up there is a bird holding nervously in front of her. If the bird goes down she will lay it gently into your hand. A black and white English Setter from JimSaNik Kennels, with a heart as big as his head, Rio is the best Pheasant pointing dog I have had the pleasure of hunting behind. With the gait of a Tennessee Walker he is beautiful to watch. Wild late season Pheasants have the reputation of being the hardest upland bird for a dog to hold point on. This is where Rio is at his best. He will actually circle around a running pheasant to block its path and freeze it with a point. He has hunted many species of Upland birds from Canada to Mexico and has made all of them hold to that beautiful point. The newest member of the pack, Vato is an Orange and white English Setter from Tyson Jackson’s Mesquite Ridge Kennels in Ponca City, Oklahoma. The most athletic Setter I have owned, he comes from championship bloodlines. His mom is a daughter of two time national champion Shadow Oak Bo, the first Setter to win the national championship in 30 years and the first back to back champ in 100 years. His sire Tekoa Mountain Paladin is 5 time runner-up champion. He show’s lots of potential, covering ground like a greyhound, with a beautiful stylish point. He is very curious and aware, one of the smartest dogs I have ever trained. When I get him reeled in he may be my best. My first English Setter Iris came from JimSaNik Kennels in Ord, Nebraska. A very gentle and sweet pet in the house, she turns into a bird pointing demon in the field. Her markings are very unique with a patch over one eye and the thickest, longest tail that is solid white with a black patch in the middle. She has an incredible nose with a stylish and confident point. She is also an excellent retriever. Every hunter that has ever hunted behind Iris gives her great accolades. There is really something special about this little girl. A long legged English pointer from a Florida bloodline is only mine from November thru February. Hanks owner is renowned Animal Planet veterinarian, Dr. Bob Taylor, also a member of my hunting club. Bob leaves Hank with me for the entire hunting season. It gives Hank more time in the field and gives me more dog power when I need it. Hank has evolved from a great Pheasant dog to a jack of all trades. I have exposed Hank to Montana Sharptail and Huns, Idaho Chukar, Arizona Means Quail, Texas and Georgia Bobwhites and Pheasant in three states. Not only is Hank great in the field he is also a wonderfully gentle pet.